I have a few simple questions before I get to serious about this purchase and I am hoping you guys can help me out. My main questions are do the standard series III parts work on the lightweights? Can I put an overdrive on? what electrical system is better to have, the 12v or 24v, and how can I tell which system it has. If there is anything important that I should know please let me know. Thanks. Yes, there were FFR lightweights. As for which is better to have, the 12v would be easier/cheaper to source parts for. Most mechanicals are the same. The half-shafts are shorter and 24 spline. However, you can fit civvy half-shafts if you also change the drive members, which are also different. Electrics are for the most part different, though the turn signel/horn/dip switch stalk is the same. Keep in mind the Lightweight is narrower, so no body panels will swap with the civvy, though the door tops, hard top and 1/2 cab will fit (with a bit of fudging for the latter two). thanks for the responses. Is it possible to fit an overdrive though? I imagine that it would be, but this is the first lightweight that I have seen in person. And if it can, does anyone know where I could get one? Yes, same as you would in a civvy one. Other than the things I mentioned, the mechanicals are the same. The Lightweight uses a different tunnel cover and seat box than the civvy model. You should be able to fit the O/D, but you may need to adjust/tweak the lever to avoid interference issues. Other than what Tom has said, the only things I can think of that are different are the fan, pulleys, and water pump. The fan is 8-bladed (vs. 4-bladed on civvy) and the pulleys are double-groove (vs. single-groove on civvy). The only other advice I have is to make sure you know what you are buying. If it is a 79 it should have the flat caps on the hubs. If it has regular drive flanges & hub caps, then either someone has changed them out or you have a later vehicle with rationalized axles. I'm only mentioning this because it happened to me when I bought my Lightweight. I wanted one bad and bought it without doing as much research as I should have. The vehicle turned out to be a much later build than I was told. It had rationalized axles, upgraded brakes, and metric brake lines. It's nice to have these upgraded components, but it was a real PITA to get some of the parts I needed. 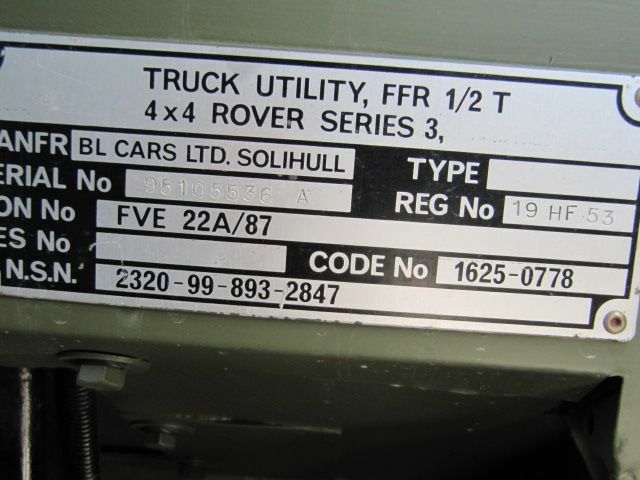 The last UK home market RHD petrol SIII Lightweight is supposedly 95105805, so that one is fairly late production. I don't know how many 79's are in the states (mine is a '79, shhhh) but I know there are more than 20 Lightweights. Or maybe he meant LHD? 1 of 20 is pretty vague. 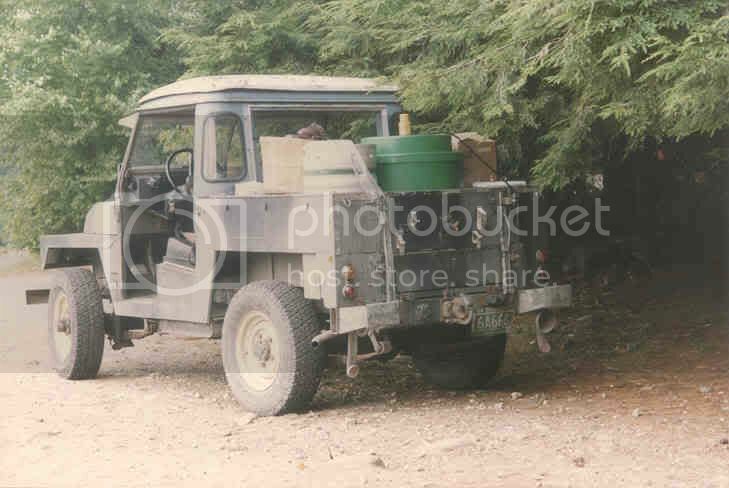 DAP brought in about 200 ex-MOD Rovers in the 80's and a fair number were Lightweights, though of course most were 88's and 109's. Here's mine, doing proper service. A IIA that belongs to a mate of mine. One final question. What would you pay? here is a pictures. From the one picture, that is a very nice looking Lightweight. We would need lots of detailed pictures if you want an estimate of value. Looks like it has been modified to allow for external fuel fill (which most likely means the tanks have been replaced with civvy sped ones). The wheels are also incorrect for a Lightweight. Neither a big deal. I run the same wheels and kind of wish I had external fuel fillers. The rear crossmember also looks a little funky - like not original. What are they asking? Last edited by jac04; 08-30-2011 at 04:36 PM. they are asking $15000 for it. I have not seen it in person yet. That picture is from their website Classic Auto Sales: Omaha Nebraska : Porsche 911 997 996 993 : Mercedes : Coupes and Convertibles. The only thing that im worried about is it will have to be my daily driver. My disco just got totaled out thanks to a hail storm that we had two weeks ago. I only live five miles from work, however in the winter it gets under 0 degrees alot. So im not really sure im going to get it after thinking it over. I want it, but it just doesnt seem practical. It's definitely had some work done. I can only see one fuel filler, so it may or may not have the proper twin tanks. From the location of the air filter & battery box between the seats, looks like it was 24V originally. Rear crossmember is wrong - it's a modified civilian crossmember. Definitely not restored to original specs. Not necessarily a bad thing, just don't let them think this is a super special Lightweight in original condition. 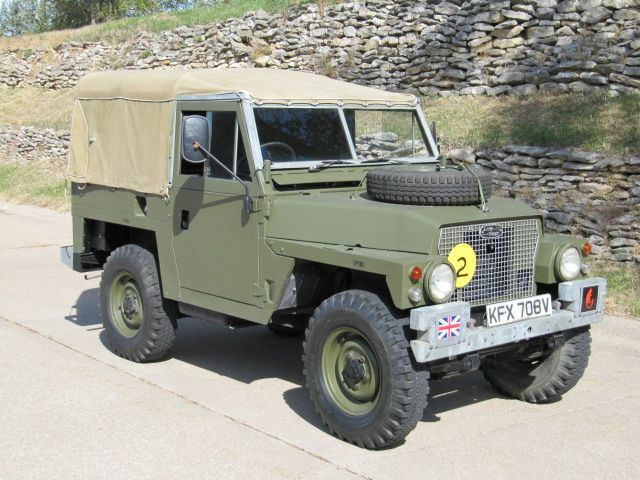 Now, if the chassis, bulkhead, door frames, etc are all rust-free, then they could end up getting their asking price (if they find the right buyer) Lightweights are relatively rare, but I doubt this is a 1 of 20 vehicle. To some, the rarity of a Lightweight makes it worth significantly more than a civvy version. To others, it's just another Land Rover. Unless you are really stuck on a Lightweight, you can get much more for your money buying a civvy model. thanks for all the advice, its greatly appreciated. 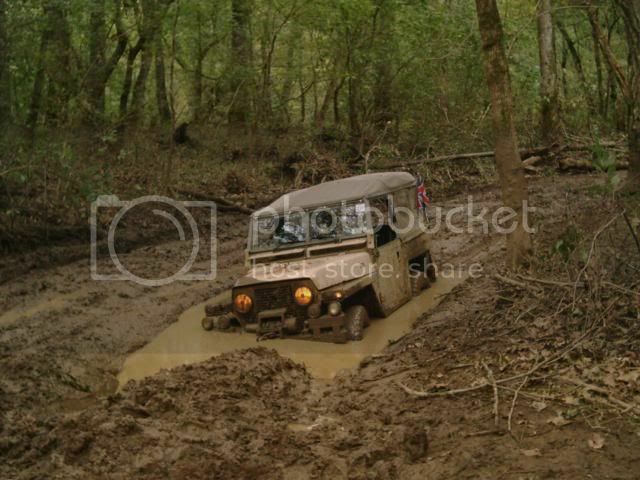 I wasn't going to give him asking price for it, to me its a 79 series land rover without an overdrive. The lightweight doesn't make a big difference to me. I'm just not sure about staying warm in winter driving. I'm just not sure about staying warm in winter driving. The heater in them requires you to stick your hand down beside to make sure it's working. 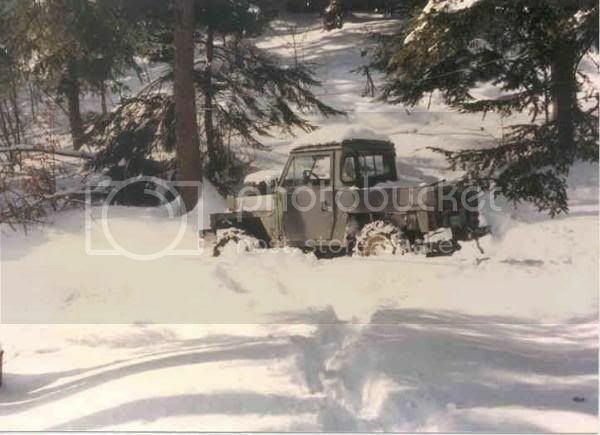 When I drove mine in the winter in New England I wore a down parka and Air Force arctic overalls for anything other than 15-20 min trips. One thing that will help immensely with warmth, short of an aftermarket heater, is a curtain at the seat back at least. Better yet, a 1/2 cab. With the 1/2 cab I could get by with just a heavy coat, jeans and Sorels for up to an hour.